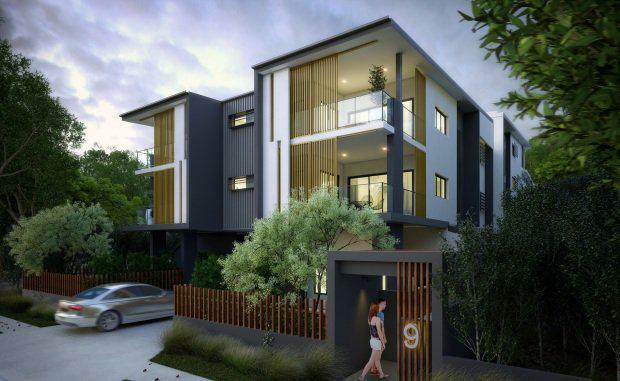 Brisbane-based Mosaic Property Group has launched its latest residential development, the boutique Botanica on Quarry block in the northern Brisbane suburb of Alderley. Managing Director Brook Monahan said Botanica on Quarry was the latest in a long line of significant property developments in the area which reflected its steady improvement. “Alderley is the latest recipient of Brisbane City Council’s Suburban Centre Improvement Project (SCIP), transforming Alderley shopping centre with a $5.3 million facelift and local streetscape improvements, including street trees, gardens, bicycle facilities and public art,” Mr Monahan said. The development will include 13 individually-designed two and three bedroom apartments starting at $510,000. The apartments will range from 94 sqm to 159 sqm with open plan designs. Director of Sales, Anthony Hancock, said high pre-launch interest in Botanica on Quarry and the sales success of Mosaic's Cove on Camborne nearby, indicated the boutique development would sell out very quickly. “Botanica is the second of two key projects for Mosaic at Alderley, following the success of Cove on Camborne – selling 100 per cent of apartments within the first six weeks," Mr Hancock said. Construction of Botanica on Quarry is scheduled to commence in June 2015, with the first settlements earmarked for April 2016.